Part-time appointments are possible for all academic titles. Such appointments are made when the position requires less than full-time service, when there are funding limitations, or when the individual is not available full-time. Except in unusual situations or in cases of adjunct and courtesy appointments, the minimum amount of time that the staff member may commit to the University during the period of appointment is 25 percent. For membership in the University Faculty, the appointment must be for at least half-time. Joint appointments are not considered part-time appointments. However, an individual whose salary comes partly from a professorial appointment and partly from a non-professorial position is considered a part-time faculty member of the University Faculty. When an individual is awarded tenure on a part-time basis the financial commitment is limited to the portion of salary associated with the professorial appointment. According to faculty legislation, tenure or probationary tenure status is possible only for professors who are on at least half-time appointments (please consult faculty legislation below). Adjunct professors are by definition on part-time appointments. Since the primary responsibilities of adjunct professors are external to the University, they are not eligible for tenure. Due to the nature of an academic appointment, it is not possible to translate the terms part-time and full-time into numbers of hours. When part-time appointments are made, it is the responsibility of the appointee and the department chairperson or other cognizant individual to agree on the duties involved. Information about benefits eligibility is available from Benefit Services in the Division of Human Resources https://hr.cornell.edu/benefits/. Definition. A part-time faculty appointment is an appointment involving academic responsibilities requiring not less than one-half of the responsibilities required of a full-time faculty member. Rationale: A part-time appointment is designed for faculty members who wish to maintain the continuity of their academic careers when professional and personal commitments restrict the time that they can devote to academic responsibilities. The availability of part-time appointments permits, on an optimal basis, greater staffing flexibility for colleges and their departments than is now possible. Colleges of the university may at their discretion appoint qualified men and women to part-time faculty positions. A faculty member may, under conditions set forth below, transfer from full-time appointment to part-time appointment and vice versa. A faculty member holding a part-time appointment will be eligible for all the rights, privileges, and benefits (including sabbatical leave) that are available to a full-time faculty member. Such rights, privileges, and benefits, however, will be made available on a pro-rata basis except when such proration is not practically feasible. considered for tenure not later than the equivalent of the sixth year of full-time employment (in accordance with the provost’s memorandum of March, 1971). An original appointment to a part-time position shall be made in accordance with the provisions set forth above. to the college dean and department chairperson. for transfer to a part-time appointment. A change in status may be initiated by either the individual or (where applicable) the department chairperson or dean. Changes in status may not be effected without the consent of the faculty member and shall be effected by the same procedure utilized in the college for new appointments. Changes of status shall be accomplished without gain or loss regarding length of service requirements. with copies distributed to the college dean and relevant department chairperson. This regulation shall apply to all academic divisions of the University except the Medical College, … and the Graduate School of Medical Sciences. Part-time appointments for short and definite terms have always been possible. The above policies apply primarily to longer-term appointments. Cornell University Library Procedure 13. In the prorating of sabbatical leave, consult the sabbatic section of Appendix B in the policy “Leaves for Professors and Academic Staff,” at (https://www.dfa.cornell.edu/sites/default/files/vol6_2_1.pdf). There are two types of part-time appointments. In some cases, appointments are for less than full-time because of the limited availability of individuals. In other cases, the appointments are for part-time because of limitations within departments. 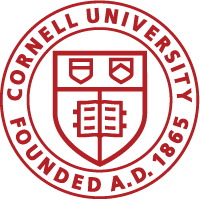 In the latter cases, individuals may accept other academic positions at Cornell. In such a circumstance, if an individual is on the tenure track, an agreement should be reached relative to the degree that the responsibilities of the second position would be a consideration in the tenure decision.